This Southwest Snack Mix is a tasty idea for your next family movie night. The recipe is so easy to make that the kids can help make it too! 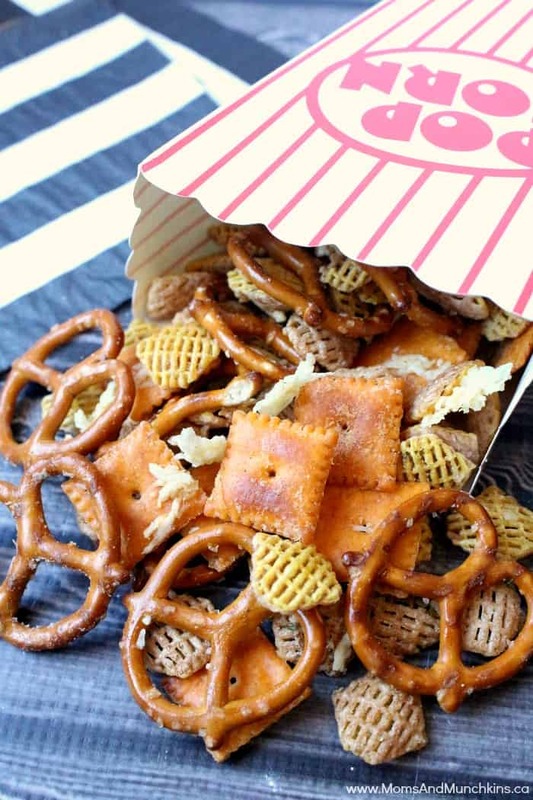 What’s your favorite movie night snack? Do you go for the salty snacks or do you reach for the sweet treats? I love chocolate, cheesecake, candy…I could go on for a while here…but when I watch a movie I always reach for the salty snacks. Remove and discard unpopped kernels from popped popcorn. In a large resealable food-storage plastic bag, add popcorn, Bugles and pretzels. Pour butter over popcorn mixture, seal bag and shake to mix well. Add chili powder, garlic powder and Parmesan cheese, seal bag and snake to mix well. 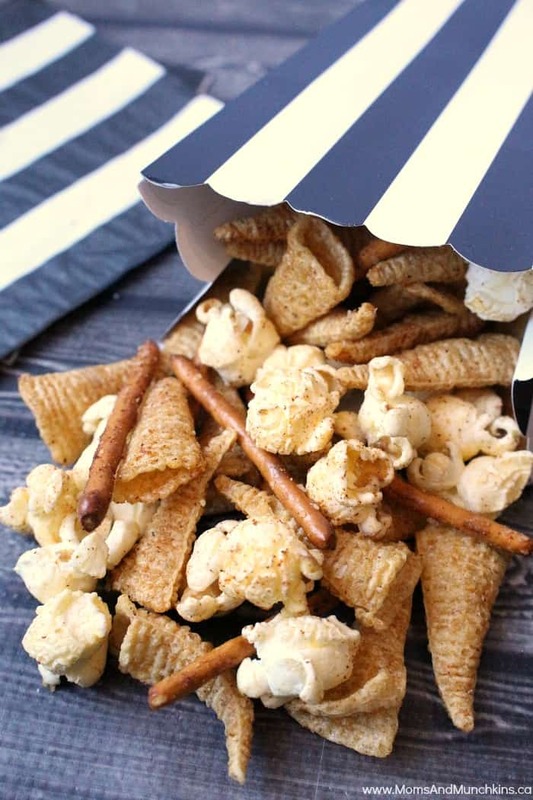 For a bit of a variety for your next movie night, check out this recipe for Cheesy Ranch Snack Mix. This one requires the use of the microwave but it’s still really easy to make and it will take you less than 10 minutes to prepare. 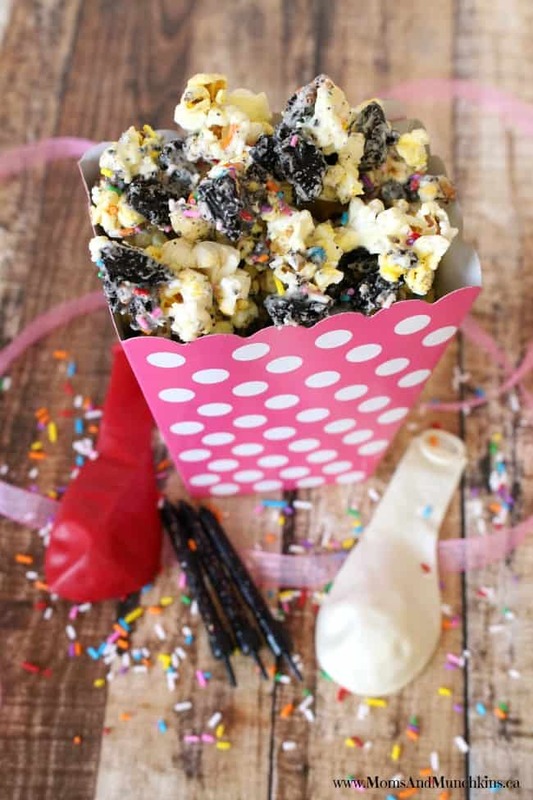 If you crave a sweet popcorn treat, try this Birthday Party Popcorn. Extra sprinkles, of course! 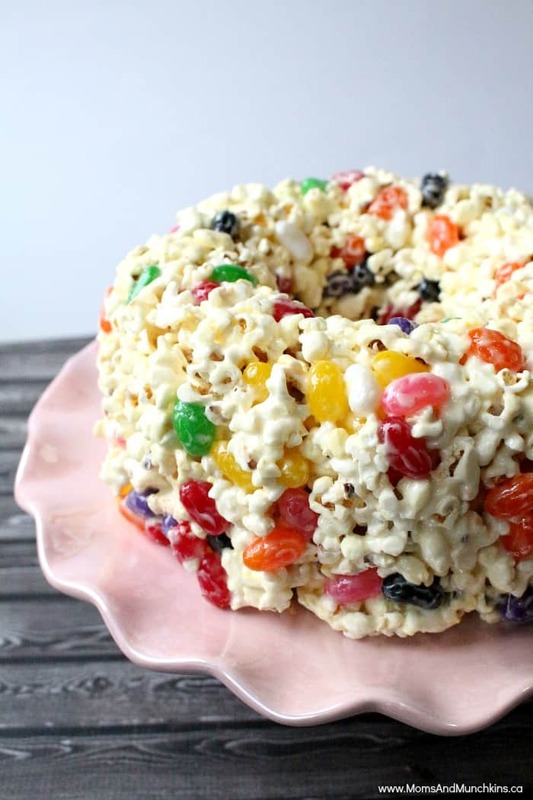 For a totally different kind of popcorn treat, check out my grandma’s family-famous Popcorn Cake! 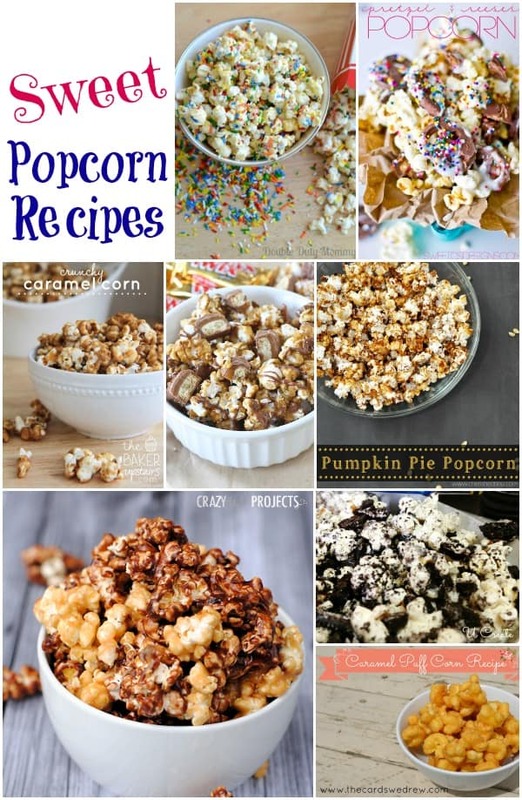 We also have a yummy collection of Sweet Popcorn Recipes for you to choose from. 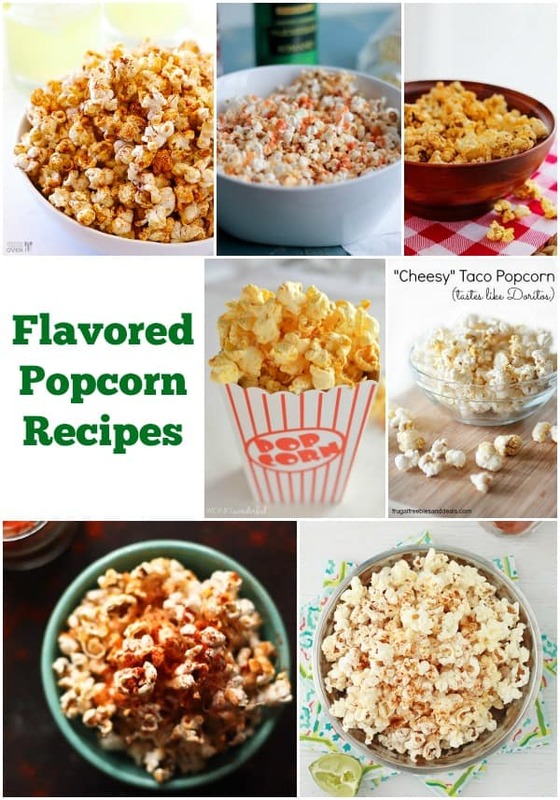 If salty snacks are what you crave, we have a tasty collection of homemade popcorn recipes too. We’re always adding new & tasty recipe ideas. Stay updated on the latest by following us on Facebook, Twitter, Pinterest and Instagram.